The Bahamas' annual Agricultural, Agribusiness & Marine Resources Expo was officially opened yesterday by Prime Minister Perry Christie, who called for more investment in the agricultural sector in order to grow jurisdiction's export market. Pictured: Prime Minister Perry Christie speaking at the opening. The Bahamas’ annual Agricultural, Agribusiness and Marine Resources Expo was officially opened yesterday by Prime Minister Perry Christie, who called for more investment in the agricultural sector in order to grow The Bahamas’ export market. During his opening address, the Prime Minister said that the country should be taking advantage of The Bahamas’ expertise in the industry and exporting homegrown goods and produce, as well as reducing its own reliance on imports. The opening ceremony also heard from executive chairman of the Bahamas Agricultural and Industrial Corporation Arnold Forbes, who praised the work of the Expo steering committee in organizing the event. “We are going to make agriculture the fourth pillar of our nation’s economy within the next five years,” he said and added that the government was establishing an agricultural school and a marine science school in Andros to stimulate the industry. 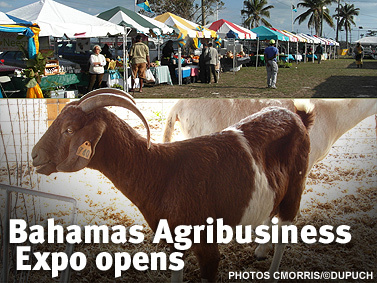 The Expo, which runs until March 9, will showcase the best of Bahamian produce at the Gladstone Road Agricultural Centre where over 170 booths have been set up by local producers and entrepreneurs. It also features workshops, cultural displays, presentations, seminars, handicrafts and livestock. The programme this year will also include celebrations of the country’s 40th anniversary of independence. The government of The Bahamas as sent a message of condolence to Venezula on the death of President Hugo Chavez. 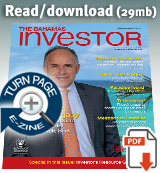 Read the message here. Wealth management, funds and insurance will be the focus of the Bahamas Financial Services Board's marketing campaigns this year, which will see delegations from the jurisdiction traverse the globe.